GLENDALE, ARIZONA – Arizona Coyotes President of Hockey Operations and General Manager John Chayka announced today that the Coyotes have assigned goaltender Michael Leighton to the Tucson Roadrunners, the club's American Hockey League (AHL) affiliate. 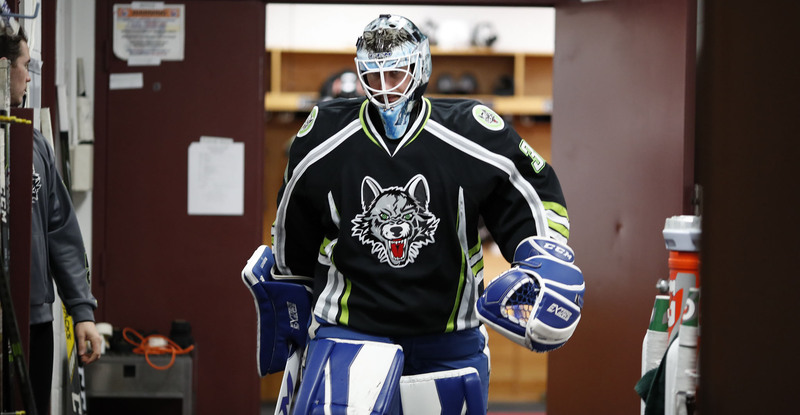 The 6-foot-3, 187-pound Leighton has registered a 1-1-2 record with a 3.40 goals against average (GAA) and an .869 save percentage (SV%) in five games with the Chicago Wolves (AHL) this season. The Petrolia, ON native has also totaled a 3-3-2 record, 3.03 GAA and an .868 SV% in nine games with the Syracuse Crunch (AHL) in 2017-18. Leighton owns a 37-43-14 record with a 2.98 GAA and a .900 SV% in 110 career NHL games with the Carolina Hurricanes, Chicago Blackhawks, Philadelphia Flyers and Nashville Predators. He was originally drafted by the Blackhawks in the sixth round (165th overall) in the 1999 Entry Draft. Tickets for all 20 remaining Roadrunners home games, including next Saturday's Star Wars Night at Tucson Arena, are on sale now and can be purchased by clicking HERE or visiting the Tucson Convention Center box office. For more information on the club, call 866-774-6253.